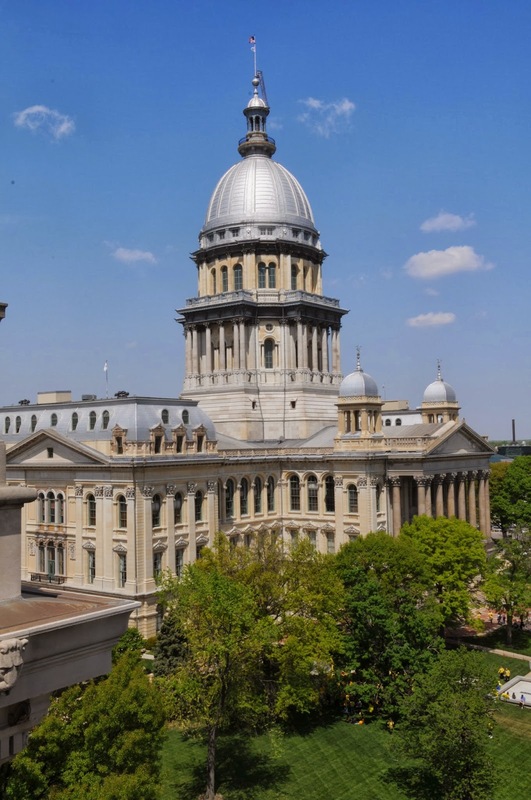 A bill to revamp Illinois’ underfunded pension system passed the House 62-53 and the Senate 30-24 today, sending the bill to Governor Quinn, who has said he will sign it. The legislation was drafted by a 10-member conference committee made up of members of both parties and both houses. A conference committee is a rarely-invoked process which the General Assembly uses when the two houses each pass different bills on the same topic and cannot reconcile the differences. Different House and Senate pension bills passed in May. When the two houses deadlocked over the two bills, each chamber voted to create a conference committee, and the four legislative caucuses appointed its members. The conference committee, chaired by Sen. Kwame Raoul (D-Chicago) and Rep. Elaine Nekritz (D-Northbrook) held hearings and meetings all summer and fall before producing a compromise bill on November 27. The bill passed the committee by a 9-1 vote yesterday. Today, the House debated for three hours before passing the bill. The bill increases the retirement age for state employees under age 45. For every year the employee is before the age of 46, four months are added to their retirement age. In addition, the bill implements a salary cap for Tier One active members at the greater of salary at the effective date or the Tier 2 salary cap, which is currently $109,071. The largest share of projected savings come from a change to the automatic cost of living adjustments (COLA) for retirees under which the COLA will be calculated on 3% of $1000 per every year of state employment, or 3% of $800 for those also eligible for Social Security. The legislation is Senate Bill 1.